9 mm Ammo - Moriarti Arms keeps the best 9mm loads in stock because we know that shooters across the country have fallen in love with 9mm. We offer high quality and affordable ammo that is ready to fire right when you get it. 9mm ammo is one of the best rounds you can make to feed your 9MM guns if you're heading to get some trigger time in at the range. 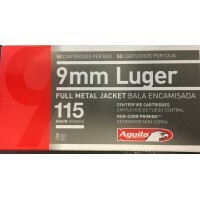 This 9x19 ammo features a 115 grain full metal jacket (FMJ) projectile that is considered standard weight for 9mm ammo by most shooters. This 9mm Luger ammo is brass..
AR-15 1/2X36 YHM Annihilator Flash Suppressor. Bold, aggressive style and awesome performance! 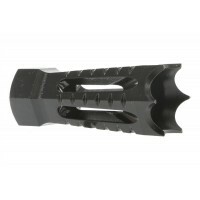 The unique six-sided Annihilator designed is based off of the proven Phantom Flash Hider and equals or exceeds it's excellent flash hiding capabilities. This 6 port design eliminates over 99% of flash..